Easily blend together the speaker, presentation, and audience to create most compelling project to review and share. 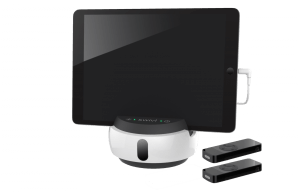 Save on travel costs and use Swivl to coach your training staff remotely. Swivl follows the presenter while recording video and wireless audio. Record the presenter AND what’s being projected on the screen. Download. Have the freedom to move around while Swivl continues following you. Capture great video and audio using Swivl wireless microphones staying in frame and capturing high quality audio. Get the video and audio data you need to make better decisions. Create a content library of important presentations to share with new hires. Never miss another stand up. Make every voice heard. Bring real accountability to your agile sprints or milestone planning sessions. Make boring conferences unforgettable. Bring customer insights to your team. Easily capture high quality audio using multiple wireless microphones.